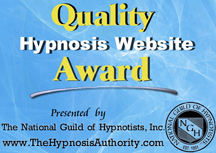 Did you know Hypnosis is for Everyone and even you can be Hypnotized. Do you want to see changes in your life and be happy? Do want abundance and prosperity? Just imagine quitting smoking effortlessly and with no side effects? Do you want to lose those unwanted pounds and feel great? Do you want to have Confidence and achieve success ? Do you want to enhance your sports career and get in the zone? Do you want to Be Addiction free from drugs and alcohol? Did you know the number one outcome is to improve your lifestyle, enhance your sport or recover from a injury quickly. It can also help in law of attraction and bring you prosperity and success with positive thinking. These programs are designed by Arizona Hypnosis for individuals or group seminars this helps everyone. The Hypnosis programs offered at my Scottsdale Az. and Beverly Hills Ca .locations are customized to the individual needs for whether it's sports performance or injuries, smoking cessation, weight loss, pain, oncology, regression, fears, phobias, prosperity success, depression or addiction. Gambling Addictions are all around us and needs to be addressed since the casinos are growing more each day. If you have a member of your family having a problem beating the gambling addiction or any addiction feel free to contact Pattie and find out more information about how Hypnosis can help you or the one you love let go of the addiction habit. She also works with Professional Athletes, high school and college students to enhance their sports careers through visualization techniques to be eligible for scholarships to be able to play beyond their potential. Competitive Cheerleading is considered a sport land will in the upcoming Olympics. Cheerleading can have major issues with their stunts, lifts, back flips and even focus with their precision moves. Results can be seen immediately if there was a accident while cheering or if the athlete had a incident and their mind refuses to do the same movement as it recalls the past yes, Hypnosis can help the cheerleader let go of the past and move on and even be more focused then before. Clients that wish to work on their weight loss program without a diet can see how hypnosis works quickly and become even healthier. Pattie has helped hundreds lose those unwanted pounds and the clients feel and look great. Pattie can show you how to lose that weight with several programs customized for you.. including the Hypnosis Lap Band. Smoking Cessation is a difficult habit to break but its easy with hypnosis you can be smoke free in just one hour. Stop Smoking CDs/MP3 are available to help you overcome your Smoking habit. Pattie has a customized CD to help you have a session just as if I was in the room with you. Each session is conducted in utmost confidence and your information will never be displayed or shared with anyone else. Your privacy is well protected.